The True Ethos Behind Luxury Is Longevity; Buy It Once And It Lasts Forever. In the summer of 2018, Burberry came under fire for burning millions of dollars’ worth of leftover seasonal stock. They said it was to protect their brand and also that the energy captured from the fire was renewable so, therefore, environmentally friendly. In short, they missed the point. The world went wild, and Burberry suffered a huge PR backlash. As a result, they promised, no more fires. While it’s a victory to know that social pressure can make huge brands turn corners, this is only the tip of the iceberg. Burberry aren’t the only major players making headlines; Chanel and Louis Vuitton are also accused of slashing stock and Richemont bought back close to 500 million dollars of their own watches to be dismantled. While there is an argument that luxury brands need to protect their stock from ending up cheapened on the grey market, at what cost? Luxury brands haven’t embraced sustainability, and in a world of churn and burn, this spells out disaster for our planet. Burberry and those other big brands guilty of billionaire bonfires stress that they need to destroy old stock to protect their brand. They cannot donate the stock or sell it off at a lesser price, as this would cheapen their whole name and go against the grain of exclusivity. But simply resorting to a syndrome of slash and burn is lazy creativity. This is a long game brand – not some fad, fade and die fashion name. Burberry could have just as easily safeguarded their stock for a decade or two and then sell them on as original vintage pieces. They could have recycled their wares into next years line; they could have found a way to repurpose their stock, or even curated a program where they partner with up and coming designers who are able to turn this unwanted stock into something dazzling, defying and new. To simply set fire to the lot, is obnoxious at worst and unimaginative at best. Waste is very much a problem of the privileged. 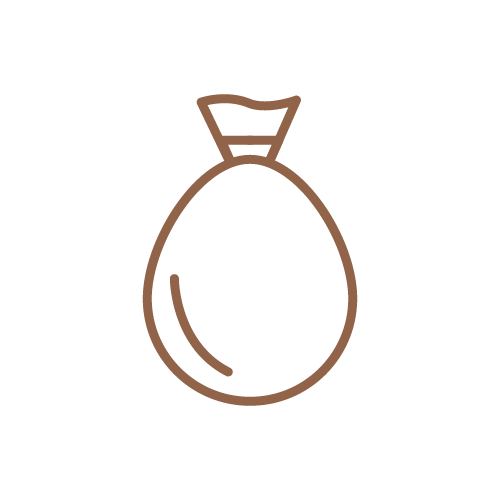 In less developed countries, there isn’t the same purchasing power, which means that goods are reused over and over again until they disintegrate to nothing. In the west we seem to have an insatiable hunger for newness; and this is contributing to the boom of fast fashion. One of the biggest culprits and active contributors to the worlds waste problem. Waste is very much a problem of the privileged. It’s a staggering reality that fashion is snapping at the heels of the fossil fuel industry when it comes to being the biggest polluter of our planet. Fast production of cheaper clothes means mass crops, synthetic fibers, and heaps of used clothes in landfills when the next seasonal trend comes along or when the garment shows speedy signs of wear and tear. These cloth cut landfills are sprouting up at the speed of light across the globe, and from production to disbarment they are polluting our air, our water, and our soil. We are in an era of consume, consume, consume – in the past two decades alone, America has seen a 500 percent increase in clothing consumption and every year the world collectively consumes over 80 million items of clothing. The environment cannot keep up with this demand, mass consumption will eventually lead to deforestation, dirty soil, soaring greenhouse gasses, and polluted water sources. Technology too is moving just as fast as the seasonally changing fashion trends. Every few months a shiny new smart phone hits the shelves as the ultimate status symbol. Even beyond status, technology is created to have a quick sell by date so that consumers line up to grab the latest model. Afterall, the average phone life is just two years. The UN warned that electronic junk like discarded laptops and phones had grown a swift 8% over the last two years and that in 2016 there was enough electronic waste that it would weigh the equivalent of 4500 Eiffel Towers. Not only are we having to find places to stash this waste, but this is waste filled with potentially dangerous substances that will seep into our earth. It’s easy to place the blame on the consumer, but that wouldn’t be taking responsibility for our own actions as luxury brands. Because we are the ones pushing this narrative. We are the ones selling the message of fast luxury, we are the ones creating products with a limited lifespan, and we are the ones delivering a feeling of obsolescence. Planned obsolescence was created to increase wealth and enforce a capitalist approach. But there is a downside too. The environment has become an issue that is hard to ignore, and one that has to be addressed if products such as phones and TV are to be discarded so readily. Companies are ultimately responsible for creating a change. EWaste, today is excessive, but if the products were made with environmentally friendly materials or had materials that could be reused, then there are no reason why this manor of purchasing couldn’t continue. The waste would either become a second-degree commodity with value of its own or alternatively become a safe, environmentally friendly, waste product. Unfortunately, little has been done to boost this idea, as dealing with the waste is not a profitable business, as yet. If consumerism is to continue its growth, but the environmental issues to take a positive turn for the better, then things have to change. Of course, luxury brands need to nurture desire for the next big thing in order to keep their sales ticking. But there are larger stakes on the table –and by encouraging an insatiable hunger to consume we are gambling our most precious collective asset – our planet. Beyond the trim of fast fashion, other avenues of luxury are also contributing to the swift downfall of our environment. The food industry is also under the spotlight for the extortionately high levels of waste. Lavish hotels are famed for inviting guests to kick back and unwind, in a carefully cultivated world where everything is fully taken care of – including endless access limitless menus of crafted cocktails, beautiful buffets, and dizzying array of food. As hotels can’t count on how much each individual will eat this often leads to a wild amount of food waste. On average each guest contributes 1kg of waste per night and 25% of all food that passes through a kitchen is lost to waste. When you do a quick mind scan of all the hotels and rooms filled with guests every night, all the restaurants and dining rooms in the world – those numbers quickly start to mount up. 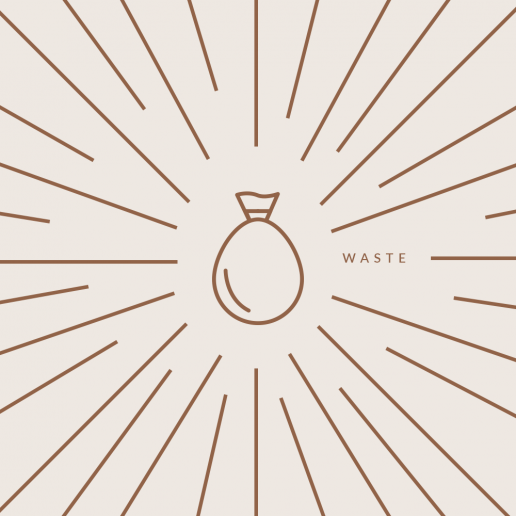 Luxury brands like Sofitel and Pullman report to tossing out 27 tons of food waste annually. We have to ask ourselves, when did luxury become about excess on top of excess on top of excess and how far will this mode of thinking really carry us? Will it be worth it, to have a larger profit share and billions of dollars when we don’t have a world beneath our feet or clean air to breathe? It’s easy to become complacent about environmental impact; on every level, the status quo is to make and buy, make and buy. But perhaps its time to look again at that cycle from another angle. 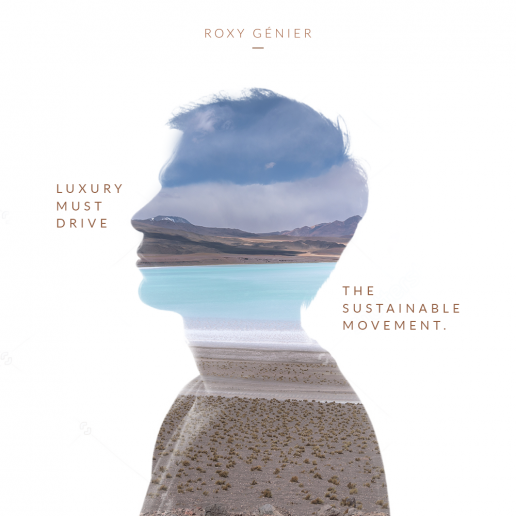 New Luxury knows that sustainability is so much more than a buzzword, that in the coming years it will be the thread that binds us back to the possibility of a future here on this planet. The sustainable movement is no longer just a marketing feature; its an ethos we all must adopt across every industry. Waste is nothing short of a design flaw and in the 21st century, surely its about time we started to do better. If luxury brands are about legacy, we need to ask ourselves – what legacy are we leaving for future generations. Now that we have learned about the dangers of waste, let’s explore the solution.